We have kept our beds covered over the last while because we have generally had terrible spring weather thus far. First it snowed like mid-winter, and then we have had hail and wind storms that are famous in their own rights! Here is a rather wet image of our garden from our balcony. 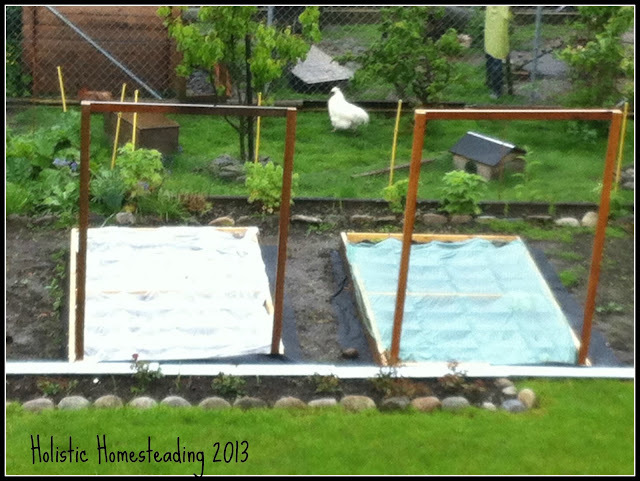 As you can see, Stefan has constructed the growing frame for our crawlers and creepers. Everything is growing extremely slowly to say the least, and I think we will be having to replace some of the seedlings, or to replant some seeds when the warmer weather gets here, if that happens! 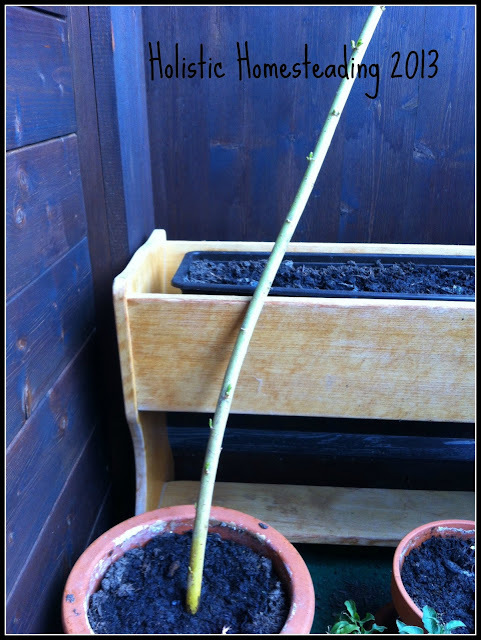 We received 2 willow branches a couple of weeks ago and were told that we could plant them as is in some soil and the willow would continue to grow. This fascinated us to say the least and so we decided to give it a go. We planted one in a pot we had available on the balcony, and the other we planted lengthwise (yes, apparently this works too) in the garden. We continued to water the one on the balcony, but didn't give it another thought until I came out to take the photo of the garden. 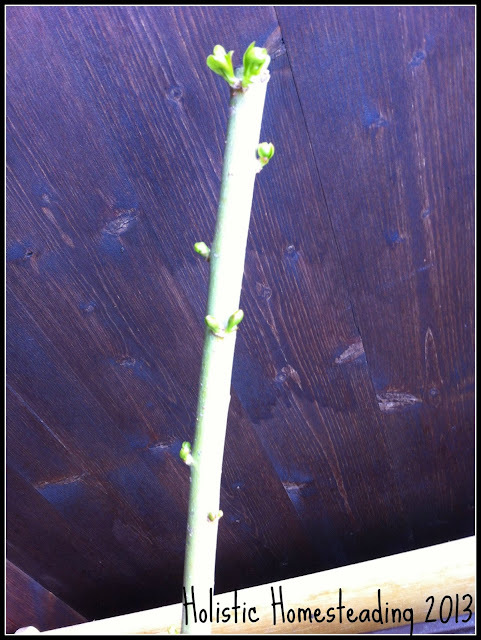 Lo and behold, the branch has started to sprout buds! I haven't been to have a look at the garden willow yet, but as soon as I see something I will show it to you also! Did you know this about willow? Our garden looks much the same. We woke up to yet more snow this morning. Lots of our little seedlings have died and what is surviving is growing very slowly. I still have quite a few things indoors in jiffy planters but am reluctant to plant them outdoors. I don't have any amazing plant facts but over at Fresh Eggs Daily they have a post all about feeding healing and heath giving herb to chickens. I found it super interesting. Green fingers crossed for some sun soon!